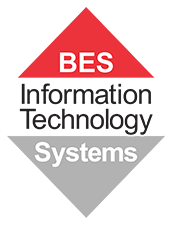 When it comes to firewalls for network security, BES IT Systems has forged as strong partnership with Fortinet. Our award-winning network security appliances provide one platform for end-to-end security across your entire network. FortiGate Next Gen Firewalls are optimized for internal segmentation, perimeter, cloud, data center, distributed, and small business deployments. Simplify your security posture with one security solution across your physical, virtual, and cloud deployments. Fortinet offers firewalls to suit different environments: entry level, mid-range, high-end and virtual firewalls. Fortinet, in conjunction with BES, offers a Cyber Threat Assessment to help diagnose where vulnerabilities may lie in your network. Secure network architectures need to constantly evolve to keep up with the latest advanced persistent threats. There are two ways to find out if your solution isn’t keeping up—wait for a breach to happen or run validation tests. If you’d like more information or to register your interest for a Fortinet Cyber Threat Assessment, click here.